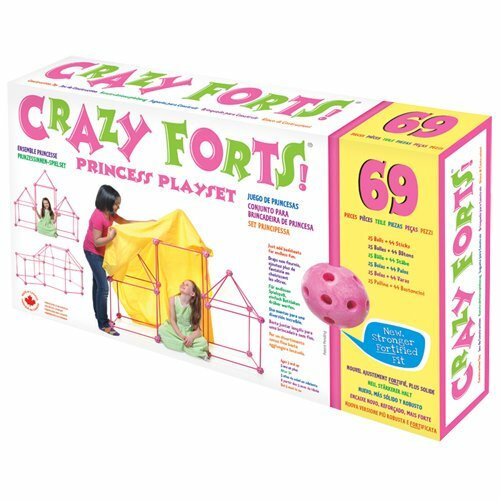 This 69 Piece Pink Crazy Forts set is perfect for building towers, caves, castles or anything else you can imagine! Each set comes with 25 balls, and 44 sticks. No glue, screws, bolts or batteries are needed!